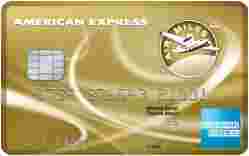 American Express Air Miles Credit Card is typically available to those with good credit scores (650 or greater). If you’re going to collect AIR MILES, you likely shop a lot at partner retailers which means it’s likely a better value for you to sign up for an AIR MILES card that gives you better rewards. That being said, for a no-fee card that earns you AIR MILES, it’s not bad. The American Express Air Miles Credit Card is a good travel rewards card for the beginner. The barrier to entry is very low: there’s no annual fee and a low income requirement. 1 mile for $15 spent on purchases made at AIR MILES Sponsors. Shop at participating AIR MILES Sponsors across Canada with your Card and your AIR MILES Collector Card, and you can earn reward miles twice.